OroCRM is a well known open source CRM with few inbuilt marketing tools which can help you to rise up your online ecommerce business. You can keep track of all e-commerce website interaction for growth of your business. Concetto Labs is a leading software development company. It has proven their skill in delivering excellent solution for customer relationship management and ecommerce to fulfill the customer need. How OROCRM can help you in your e-commerce business? Whenever you implement any technical solution, you must know about the success of implementation. Here, Concetto Lab is the best solution for you. We know the procedure for successful deployment of OROCRM ecommerce apps. Also, we have the professional team of expertise who has implemented thousands of OROCRM apps for many customers. OROCRM platform helps you to boost your online sales business by only integrating with your backend system. You can generate maximum amount of sales through CRM application integration. 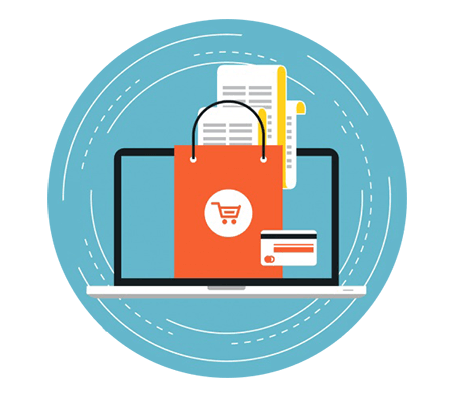 Concetto Labs can integrate your ecommerce platform with various market places. Some of them are Amazon, eBay and many more for online sales. It allows integrating different eCommerce platform at single OroCRM ecommerce (OroCRM magento integration) which can be beneficial for your business. Concetto labs provide every type of services that are necessary for the implementation and support of OroCRM platform. According to our client’s requirement, we maintain this procedure by our self. With detailed discussion on the project with our client, we make the document of client’s requirement. After verifying requirement document with our expert development team, we start development according to client’s expected result. Deployment is the process to make the project visible with the proper method with all its information at single place. After accomplishing the first step of development, post implementation support activity helps to make miniature changes. Through the help of data migration we can transfer and manage the data of OroCRM with the backend storage. Testing is the process where you can verify that the actual result meets the expected result or the requirement of the project. Why should you choose us for OroCRM ecommerce development? At Concetto Labs, we have adapted the latest tricks and technology. It helps us to in successful project delivery. We work in the milestone methodology. Thus, we can deliver our actual result is equal to the client’s expected result. Also, we have developed a specific process for CRM implementation. It can reduce the risk during the implementation of CRM system. Thus, we follow the high technique values to achieve our specific target. How our services make us exclusive among our competitors? Whenever you find any difficulties to understand the deliverable task, we will be there to help you by 24*7. We believe in stay transparent with our clients. We do not lie in front of you. We always believe in do what we committed. We work in multiple technologies and we have highly professional team for each of them who can deliver beyond your imagination. At Concetto Lab's each and every employee works with high confidentiality. We never disclose our client relationship with anyone else.